Info Dan Donatella served as Chairman of the Beaver County Board of Commissioners through December, 2006. Appointed by the Court of Common Pleas in 1997 to fill the unexpired term of the late John Antoline, Mr. Donatella was elected to a full, four-year term in 1999 and re-elected in November, 2003, continuing a career in county government that spans four decades. A native of Midland who has resided in Industry for the past 30 years, Mr. Donatella served in the U.S. Air Force before beginning his career in county government in 1959. 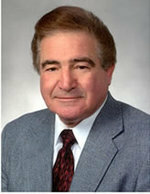 He held various positions with the county, including Chief Deputy of Register of Wills, Director of Veterans Affairs, Director of Emergency Services, Purchasing Director, Chief Clerk, and Director of the Beaver County Airport before being appointed as a County Commissioner for the first time in 1989. He retired from county government in 1990 after over thirty years of public service to devote his time to running his business, ASU Management Consultants, where he continues to serve as President and Chief Executive Officer. During this term, Chairman Donatella has been the leader on major initiatives that include the construction of a new County Courthouse and parking garage, new County Jail, and new Human Services Building. He also spearheaded the purchase of an electronic voting system, the County sponsorship of the Community College of Beaver County, improvements to the county parks and recreation system, as well as a major restructuring of all aspects of county government - all while keeping county property taxes as historically low levels. Commissioner Donatella has a long record of involvement in the community. Most recently, he led the creation of the Beaver County Economic Development Authority and the Tri-County Airport Partnership (an organization of Allegheny, Beaver, and Washington County leaders); these groups will work to increase the economic development potential of the region. He currently serves on the boards of the Corporation for Economic Development, Southwestern Pennsylvania Commission, Job Training for Beaver County, and as co-chair of the American Heart Association HeartWalk and HeartBall. A Licensed Commercial Pilot, he is a founding member of the Beaver County Airshow and maintains membership in numerous flying related organizations, including Air Heritage. In December of 2004, he was honored by Governor Edward G. Rendell to be chosen as on of twenty-one official Electors for the U.S. Presidential Electoral College. Dan and Ethel, his wife of forty-nine years, are the parents of Dan Jr., David, Darlene, and Diane and have five grandchildren Carly, Mikale, Gia, Rilely, and Emily.